People spend 53% of their time online with content and of the over 27,000,000 pieces of content that are shared each day, 60% of them include mention of a brand name and/or product. 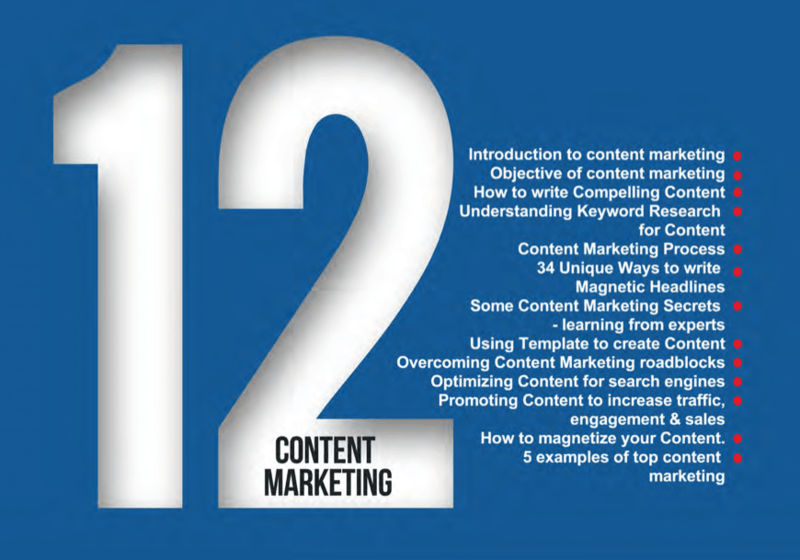 So, it is not wrong if they say content is key to Internet marketing success. In our previous article on ‘How content marketing can help you increase your sales revenue‘ we discussed in detail as to what is content marketing, why it matters to your business, how to get started with it, content marketing ideas and much more. In this article we are going to go through a few content marketing instances in which killer content used by brands have tremendously moved the masses. Let’s go ahead and see few instances wherein brands like British Airways, M&S and Sports Direct are surprising and delighting consumers by using content that’s actually precedent in itself. 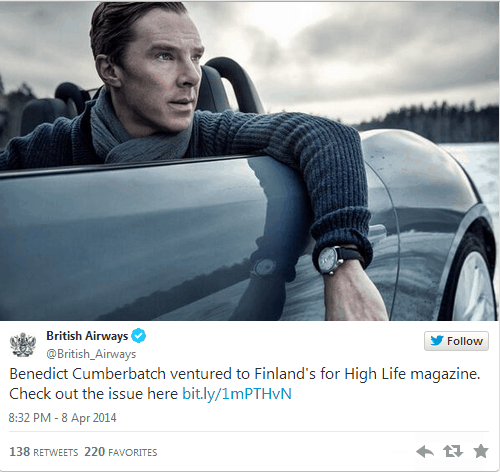 For British Airways, the mass movement was sparked just by a simple Tweet that was a preview of the May issue of BA’’s in-flight magazine High Life, featuring Benedict Cumberbatch, the star of BBC’s Sherlockin its image. Jaguar gave High Life an exclusive access to its brand ambassador by teaming up with BA for the feature. Very soon the feature became a social media sensation with the help of High Life’s pre-meditated drip feed of strategic Tweets to key Sherlock/Benedict superfans. Fans started to remake the photo of Cumberbatch playing with huskies through different media, with cupcake replicas being the ultimate homage. Not just that number of people demanding for free magazine spiked up and within a very less time it even started getting sold at a premium on eBay, creating a bemused media rage in the process. By the way, let me tell you High Life is anyway an award-winning magazine that seeks to produce the best content possible. So, whatever they invest in content marketing actually pays off. “ This year, we really set out to take High Life to a new level, bringing together great editorial and creative so that every issue competes with the best on the newsstand. And it shows. The photos of Cumberbatch, driving a Jaguar on Finland’s frozen Lake Hameenlinna, taken by photographer Joe Windsor-Williams, could have easily lived in any paid for glossy newsstand title. Sports Direct: How they made it! It might sound surprising but is true that the budget-sports wear retailer Sports Direct also invests in content marketing by creating stylish, premium content. 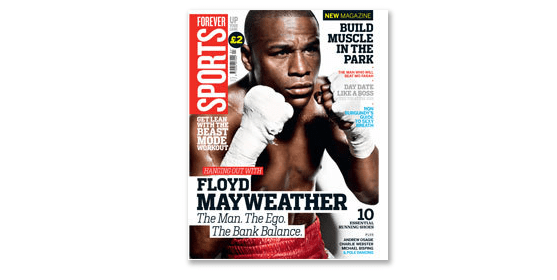 Earlier this year Forever Sport was launched by the company that has interviews with boxer Floyd Mayweather, marathon runners and Sky Sports presenters, in recent issues. By taking it from print media and extending it across multiple channels online at Foreversports.com, and on social media, including Instagram and Facebook, the brand has actually tapped into its area of expertise that gives it almost endless streams of content and ideas whether its hockey, tennis, skateboarding or swimming. Besides, the slick and stylish way they present the content by forming beautiful shots of ice climbing, to mouth-watering Mojito recipes and much more, they tend to epitomize that even budget brands can create premium content. Marks & Spencer: The journey to an awe-inspiring content marketing! Although Marks & Spencer is a traditional brand trusted by countless people around the world still its transition into the modern digital world has been a long time coming. While they still need to work out a number of kinks when it comes to the ecommerce aspect of their website but their content clearly reveals as to how they have invested in it to appeal to their customers. 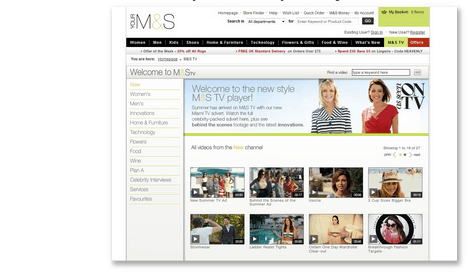 M&S has taken on a number of ways to bring itself into the 21st century, but its M&S TV section is certainly one of the most interesting ways , where it coalesces content from all of its products, with its now famous campaigns such as ‘Shwopping’ and ‘Leading Ladies’. Besides, daily video and written content from journalists, guest editors and the celebs who promote M&S themselves for instance model and actress Rosie Huntington-Whiteley is also provided by the editorial focus. On top of that they keep making constant updates that in turn keep the stories fresh and bring in repeat visitors, and at the end of the day, shoppers. • It’s not impossible to offer free content at a premium level! So, do it! Your audience will love and spread your content and thank you for regularly brightening their days with free, quality content. • Last but not the least: exceed quality expectations, take advantage of the audience that’s at disposal and create brand partnerships that make sense.